Hostelworld.com is the only tool I use to search for and book hostels. It has everything I need wrapped up into one convenient website. And they offer more than just hostel bookings. On the site, you can book campsites, tours, group hotel rooms and more. Plus they show you the reviews and ratings right on the page. Similar to other sites, when you first visit the site, you’re prompted to enter the location, dates and type of accommodation you’re looking for: Hostels Bed and Breakfasts Hotels Apartments Campsites. About 4 out of 5 times, I search only for hostels, but sometimes I find that I can get a better deal at a bed and breakfast or budget hotel. 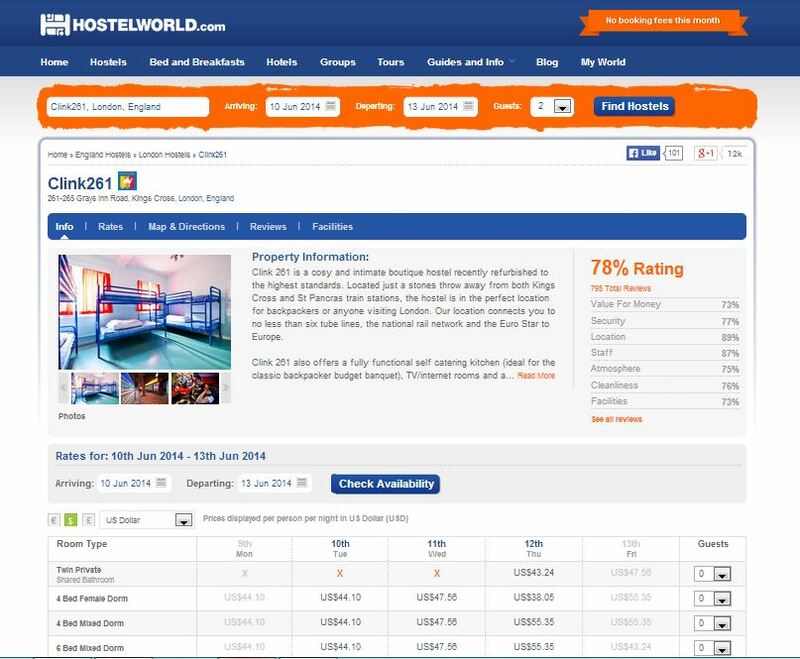 Hostelworld’s directory consists of 35,000 properties in 180 countries. Once you search, you’re presented with a list of hits that you can arrange by price, rating, availability or name. Most of the hostels have hundreds of reviews. Typically, I don’t give too much heed to reviews, since everyone has different standards, but these are pretty useful. In total, there are over 3.5 million guest reviews, according to the site. Along with reviews, Hostelworld provides general information, facility descriptions, rates, and even a map with directions for how to get to the hostel. They give you everything you need to make an informed decision on where you want to stay. Then, they have sample itineraries, local guides, Hostelworld events and a travel blog where Hostel World staffers write about awesome deals, travel tips and adventure spots. “It’s very unlikely that something will go wrong with your booking. In fact we’re so confident, that if your booking details cannot be found at check-in, we’ll credit your account with your full deposit and an additional $50 towards future bookings” (http://www.hostelworld.com/guarantee).